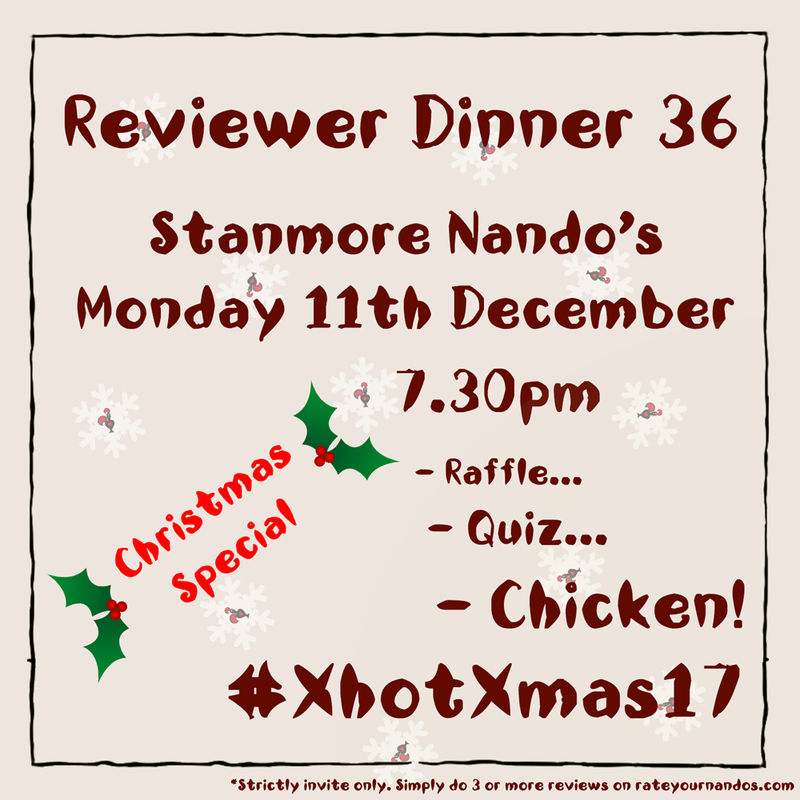 Our 36th Reviewer Dinner is at Stanmore Nando's at 19:30 on Monday 11 December! I would love to come to #XhotXmas17, what next? Fino pitta extra hot with sweet potato wedges! Sunset burger medium with spicy rice! Double wrap extra hot with peri chips and spicy rice. Quarter chicken lemon and herb, spicy rice!